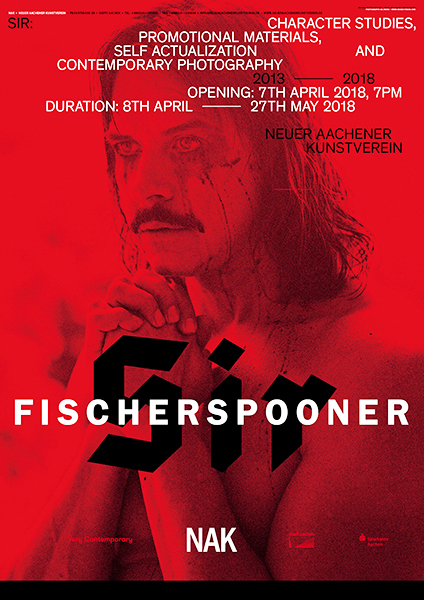 When Warren Fischer and Casey Spooner founded their art, music, and performance project Fischerspooner in 1998 in New York, they had a mission – to make the dull and elitist art scene more open and accessible and to go beyond the boundaries of art and entertainment. With their exhibition SIR: character studies, promotional materials, self actualization and contemporary photography 2013 – 2018 Fischerspooner present their own queer-lustrous and passionate universe at NAK Neuer Aachener Kunstverein. A site-specific installation filled with the wide variety of images that has comprised Casey’s search for a new identity and character. This journey has taken the form of artist collaborations, a strategy that the duo had already been pursuing for the production of the artist book Egos in 2015. 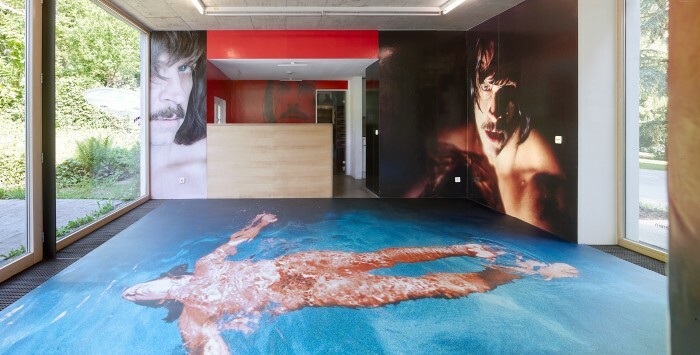 Works by well know photographers are combined with images by internet photographers and even friends of the artists. In the process Casey Spooner as the depicted main protagonist takes a step back; a portrait of contemporary photography is being generated. Thereby a survey of different and betimes even contrary handling of photography as a medium in the 21st century comes into effect. 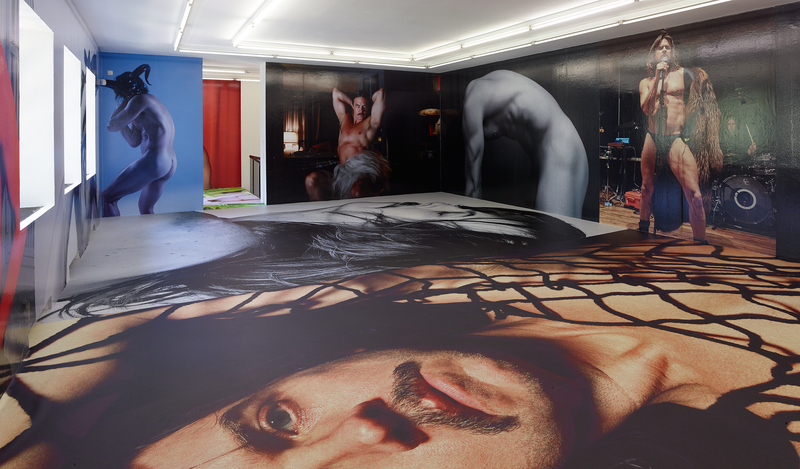 The emerging material of various different photographic approaches is part of current discourse of digital culture, informed by a constant image production and reproduction. 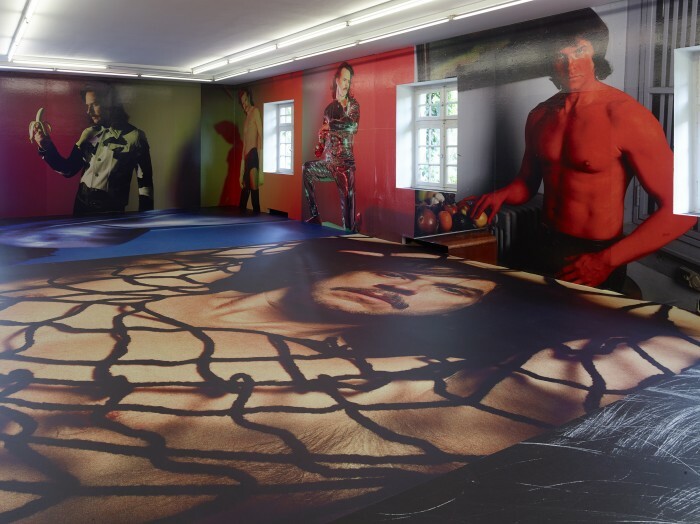 The exhibition spaces will be unified in a dense collage on all surfaces which reflects the omnipresence of multimedia image culture. 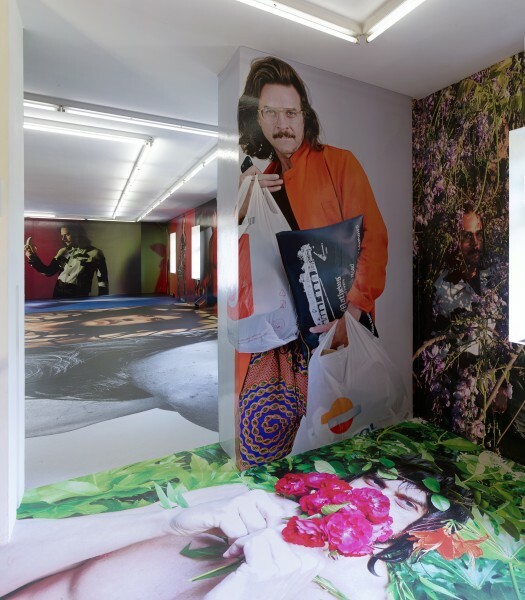 In the person and by the photographic omnipresence of Casey Spooner, the idea of excitement and obsession in a society construed to the commercialization and idolization of popculture is being specifically brought into question. 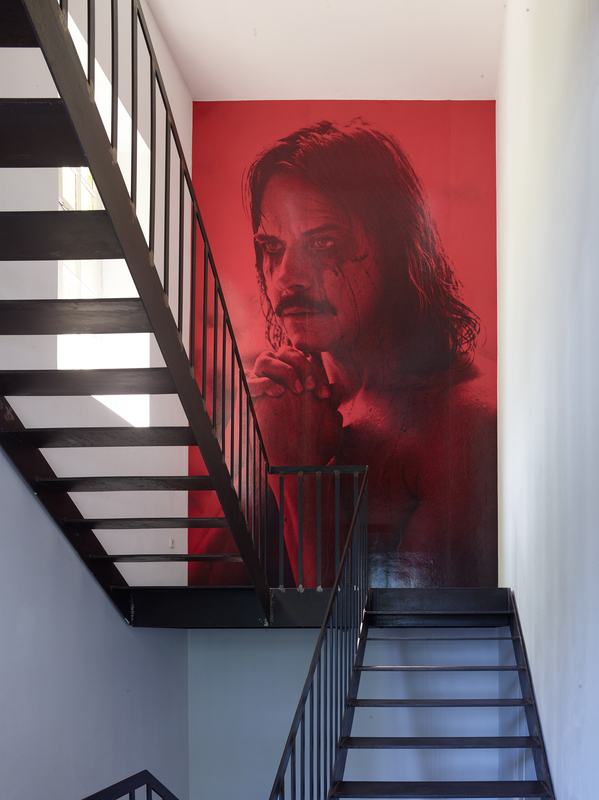 The installation at NAK is an artistic extension of Fischerspooner’s fourth album project, also titled SIR. 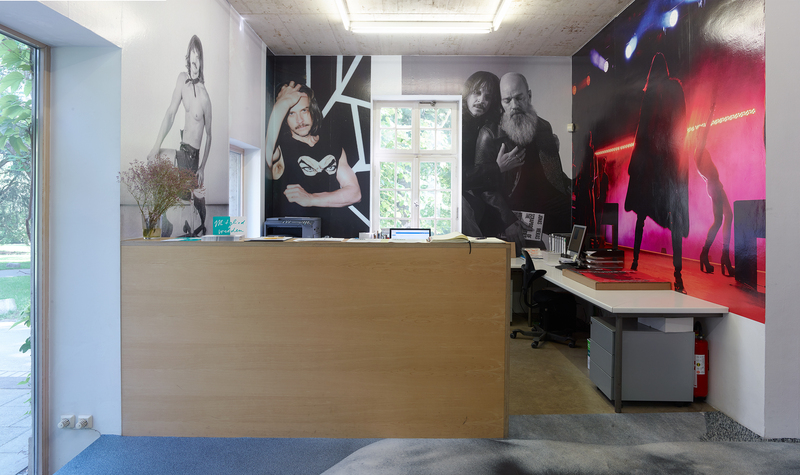 Recently released, the album was produced by Michael Stipe (R.E.M.) 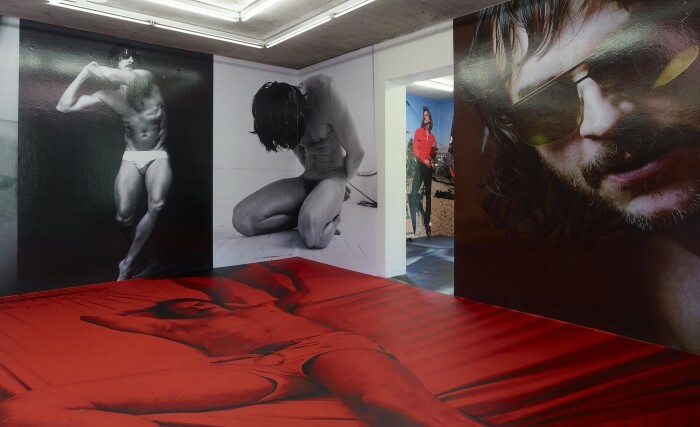 and addresses the dissolution of the boundaries between an internal and an external social self as well as the constant need for talkativeness about ones own life – a phenomenon specific in nowadays, more and more transforming the private into performative and public space. 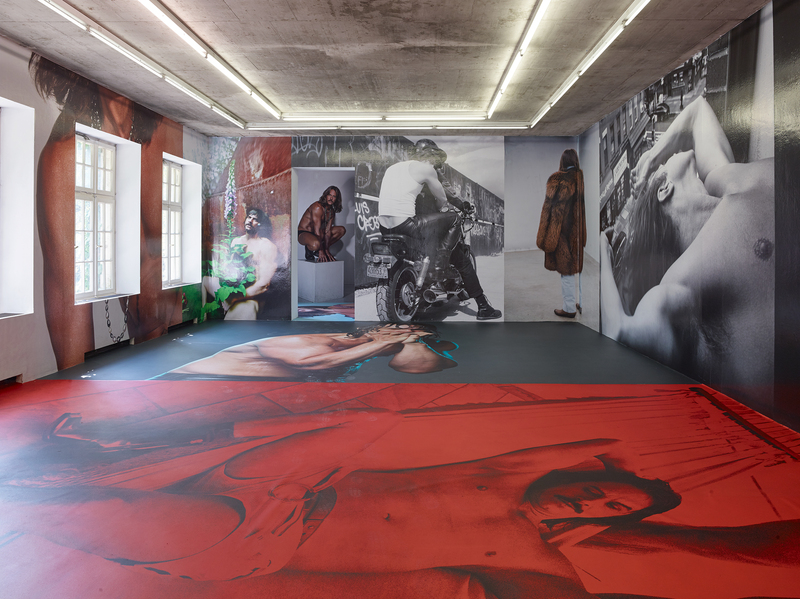 With their show SIR: character studies, promotional materials, self actualization and contemporary photography 2013 – 2018 Warren Fischer and Casey Spooner revisit themes of the exhibition SIR that took place at Vienna’s mumok in the summer of 2017 and bring the current era of Fischerspooner to its finale.